Avicii your music helps define who I am. Thank you for all of the memorizes ,your music will always keep beating in my heart .. Thank you for making my life happier ,your music is a masterpiece !! votre musique me fascine le cœur une journée ne peut pas finir sans que je ne prononce cette phrase " Avicii Exclusive Remix " que ton âme repose en paix mon idole . His music helped me turn my dark times into light and gave me purpose to be myself. Avicii is one of the very few people that I've come back to listen to on a daily basis. His music struck a cord with me in a way that no other artist has really done before. Him and his music stood out to me and I'm thankful for all the work he's done. He was and always will be my favorite DJ of all time. Thank you for all your wonderful years of music and memories, rest easy. Your music got me out of the dark, and it shall live on forever. Thank you for picking me up when I couldn't get up. I'd like to thank you so much for your music. It has helped me get through so much. You will forever have the greatest song ever produced. 2012 Tim ❤️ I miss you! The end of this day I could only think about your parents. Continue to give them strength from above Tim. It was a very emotional day again. I try to focus on the fact that this date marks a year since you've been in Peace. Your legacy is hapiness and you are part of the history of this world. We love you Tim. Avicii's songs were some of the first songs I got. I grew up through high school with his music. My brothers and I listened to Hey Brother almost everyday. Thank you for so much great music Tim. You were gone too soon. Ett år har gått, vem skulle säga, kanske är du inte här, men du är i hjärtat av de du inspirerade, du är bra, tack för din musik, tack för att du inspirerat oss, tack för att du blev glad, tack Tim. Dude, you are a legend. You made everyone happy with your Songs. I swear to God the first Song I am listening to in my first car, is yours. Germany loves you. The world love you. Tim, your music is able to fill a part of my soul that I didn't know was empty. I've struggled a lot and lost myself one too many times, but your melodies were always there to keep me going. My childhood and the happiest years of my life are filled with the joy and positive energy that your songs spread. Even though it hurts, I hope you found peace. Forever young and never forgotten, you'll remain a legend. Thank you for everything, Tim. Desperté, ha pasado ya un año desde su muerte. Un gran Dj, que dejó una marca en la música electrónica. Me hubiera gustado conocerlo en persona, sin embargo, su musica sigue provocando alegría y llenando de energía a las personas que la escuchan. Su luz seguirá iluminando al mundo. El track que más me gusta es Waiting for Love y cada que la escuchó me alegra el día y me inspira a ser una mejor persona. Su talento es, fue y será incomparable. Hasta pronto Avicii ◢ ◤. I remember that the first song of Avicii was Hey Brother, today I remembered him and I started to listen to all the Avicii songs there, I love his music, he inspired me to follow a career as a musician, it's my dream. We love you, Tim. We love you from Argentina. I first heard you back in 2013, when the "hey brother" was releasd. it was then that my “story” began and I became your fan. Your music gives me strength, support and motivation. listening to your songs, I seem to fly away to another world, where I always feel good. your music helps me not to give up and move on. I will always love you and your music. you are forever in my heart. thank you for everything. It's been a year... Thank you, Tim, for bringing me further into electronic music - and for bringing a smile into my face even before I knew "electronic music" was a term that existed. I still remember hearing "Fade into Darkness" on the radio and being completely awed by it. There's a lot more memories I have of Tim and his music beyond thaf, but I'll run out of characters before I get around to telling all of them. So, once again, thanks Tim, for everything. RIP. I listened to you throughout high school and your music continues to bring back the good old days. Thinking about you on this one year anniversary. Honored that I got to live in an era with your music. RIP Legend. He was one of the greatest creator in history. I love the song he wrote,sometimes it’s naive,it’s sad,it’s happy. He brought so many good things to me. Now I wish he will be happy in heaven. I wrote twice here already and cant promise that this is the last time there's so much to say it's just hard to put it in words.I am so sorry Tim that you weren't as happy as you could have been and deserved to be.For a whole year I hoped that maybe you could still be alive but I think I've lost all the hope.The world loves you Avicii and most of us haven't even met you. Dear Avicii, I want to tell you thanks for every song that you released, each melody and each lyric of your songs were amazing. You were the first DJs that I started listening to and for that reason, I like so much this type of music. For me, you are the best playing piano and you create great melodies. I hope to learn to play piano as you. One year ago I noticed about your loss, I was so sad. When I listen to your songs, I can feel that you are there. Thank you so much for all your music. I miss you. I can't believe you're gone. I can't believe it has been a year. Whole year without you. Thank you Tim. Aviciis music always make me in a better mood. Remeber when I saw him live. That was a magical evening. You are stil in our hearts Tim. It hurts so much that you're gone.. after one year i can't believe it. i hope you are on a better place.. one day we will see you again! On this unique and unforgettable day, so joyful and festive but also so gray and gloomy, two dear people of my life passed away. One is you Avicii and the other is a relative of mine. Rest in peace, you will always be in my heart❤️ ❤️ . It's been a year now, and we miss you more than ever. It has been one year now as you left. Still I'm not able to understand it and find the fitting words. Emptiness. A year that has been a filled with unbearable emotions, tears, facing my own fears, chats with strangers I now call my friends I never want to miss. I made memories of which your magic became the soundtrack of. I traveled to Stockholm where I never wanted to leave. I look up to you, a beautiful soul that could smile in the most beautiful way, wished you'd still do. Thank you so much. Your music has had such and inspiration on so many people. The lyrics have such a meaning behind it. Your music and work will continue to live on. Much love, rest in piece Tim. Listening to Avicii , made me appreciate the life that i have , a lot of the songs that i listened , wake me up ,waiting for love and all of them, made me think of the loveliness in my life that i couldn't actually get a grasp of because of my ignorance at the time.Really seems like Tim torn a piece of his hapiness and of his soul so he could send us this over all his music , i couldn't thank him enough for bringing me hapiness and relief when i was desperate and in much need of that. I really miss you, you inspired a lot of people around the world, through your songs you taught us to live each minute as the last one, you made me think many things about life , love and joy. You'll always be present in my memories. Kanti o ghatb9a afdal artiste bsba lia, Chokran 3la Kolchi ! U was the best artist fot me and u will remain in my heart forever, Thanks For Everything ! tu restera toujours dans mon coeur, mon idol, Merci pour tout ! It's hard to write my story of love in just a few words.And how much you meant to me? So much.You said your father told you to think of him if you're ever afraid and I'll be thinking of you whenever I'm afraid.I will find my peace in you.I hope you also found your peace.You will forever be loved. It's been a year. One year since your beautiful and pure soul left this place. You have done so much for so many people, including me: you changed me in a way i can't even describe. Sometimes I feel lost and I just want to escape from everything but I don't know where to go, and that's because you were that place. Whenever I listen to your music I feel safe and truly free before having to come back to reality. I really hope that you found that freedom wherever you are now. It cannot be expressed how much your music means to me. I will miss you forever. Thank you for the love, peace, and hope that I would never have experienced without you. Thank for making for helping me become who I am. I found my home and discovered most of my self through your inspiration. The world is a better place because of you. You live on in my heart. Tack, Avicii, Tim. Growing up I've always enjoyed listening to songs. A song I really enjoyed was Wake Me Up and Hey Brother. The songs were great and made me happy at times of loneliness. 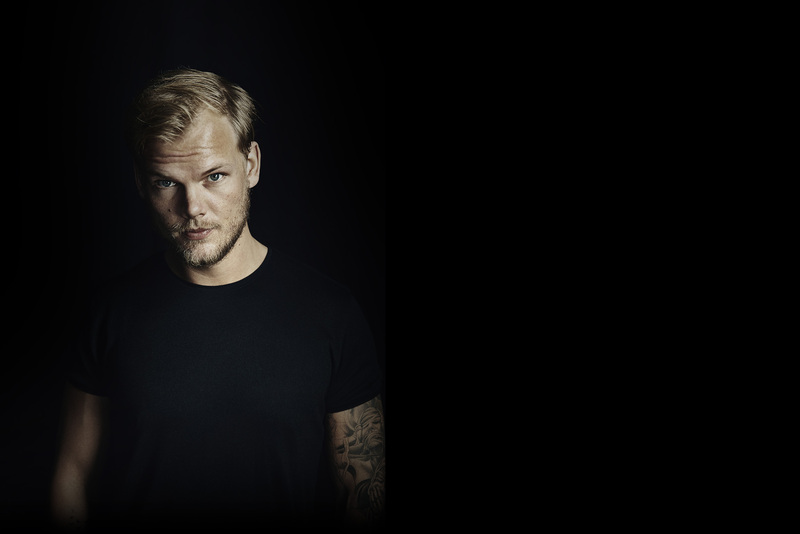 I'd like to thank Avicii for being the light in the dark, and to those who've collaborated with him within the recording of music videos or the audio itself, I'd like to thank you. Rest in Piece brother, hope you enjoyed your stay. I’m sorry, that your cry for help wasn’t heard. And you gave so much to the world. IT shouldn’t be that way. 🥺 Your Music is fantastic. ❤️ Thank you. Avicii's music is amazing - my friends don't like it, but I strongly disagree - everything about it is simply phenomenal. I just love it. Thank you, Avicii. Ciao Tim. Eri il mio idolo, e lo sei ancora. E' un anno che non ci sei più, e ancora fa male. Spero tu possa vedere da lassù, quello che ti scriviamo. La tua musica mi da carica, allegria, felicità, energia: la tua musica mi fa stare bene. Grazie ancora di tutto, ci mancherai tanto. One year. How fast the time run. I got married last year 2018-09-08. The same day as you world have turned 29. I asked our cantor/organist if he could play your song Hey Brother in the church. He did. And yet another unforgettable memory of your music was created in that moment. Your music is so beautiful and genius. I will always love it and I will always love you. When life got hard, id play your music and reply times of happy memories, and focus on the future. A year has gone and your still the Greatest. hope your smiling down at these messages. RIP you hero.